More than 800 scientists, politicians, industry leaders and representatives of civil society and the media from over 100 countries are gathering in Budapest, Hungary, this week to discuss topics of importance to science in today’s society. One of the leading international events for science policy, the World Science Forum November 4 to 7 will uncover new challenges facing science and invite participants to suggest ways to tackle them. Elsevier is a proud supporter of the conference as it tackles real issues faced in the science community, crossing bridges between policy and citizenship. It is a conference where science can benefit from a frank and challenging dialogue on policy. During the event, delegates discuss topics that will influence the advancement of research. It is a unique venue that invites participants from across the globe to discuss challenges such as bridging the north-south divide, capacity building in developing countries, and where science needs to make an impact on society. The World Science Forum (WSF) was set up in 2003 as a follow-up to the 1999 World Conference on Science. Initiated by the Hungarian Academy of Sciences and with the support of founding partners UNESCO and the International Council for Science (ICSU), the WSF network has grown considerably, with new partners joining: the American Association for the Advancement of Science (AAAS), the World Academy of Sciences (TWAS)and the European Academies Science Advisory Council (EASAC). 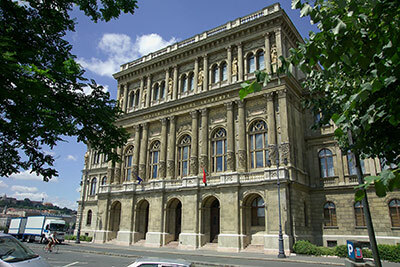 “We are very proud that a national academy can be an equivalent partner of these influential international organizations in WSF,” said World Science Forum President Dr. László Lovász, Professor of Computer Science at Eötvös Loránd University in Budapest, Hungary, and President of the Hungarian Academy of Sciences. WSF has been held biennially in Budapest since 2003, continually evolving since then into the leading global event it is today. The number of participants has increased with each event; now, the capacity of the Academy’s palace limits any further increase. In 2010, the Statutes of the Forum were created, marking an important step towards the institutionalization of the event. Jordan has been a peaceful country in a part of the world troubled by so many conflicts. The 2017 WSF will direct attention to the scientific achievements of the Arab region, its rich tradition in science, and will highlight the importance of the common language of science to bring peace to the world. WSF has always been a meeting point for scientists and policymakers from around the world, enabling them to discuss science’s role, relevance, responsibilities, driving forces – and future. Due to our accommodation grants, many of the participants come from developing countries. WSF has always been a science diplomacy event where the different perspectives of the developed and developing world meet and interact, where real scientists, science policymakers, industry representatives and politicians meet and find common ground. It has also become a place where young scientists can interact with their senior peers on these extremely relevant issues. Dr. László Lovász is a universally beloved mathematician who was a professor at Yale University during the 1990s and a collaborative member of the Microsoft Research Center until 2006. 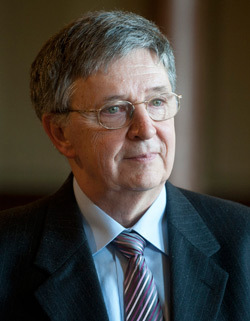 He then returned to Eötvös Loránd University, Budapest in his native Hungary where he was the director of the Mathematical Institute from 2006 to 2011. Despite being a recipient of a slew of international awards, including the Bolyai, Gödel, Knuth, Kyoto, Széchenyi and Wolf prizes, his colleagues say he stands out just because he is so normal and nice. And it’s not just the participants who benefit; partner organizations and representatives of large organizations have an opportunity to discuss their agendas, make their work more visible, and engage with a variety of people, including leaders in the science press. Along with the evolution of the event itself, the topics discussed at the WSF have been changing with the times since 2003. At first, discussions centered on the responsibility scientists have to communicate their results to society. That notion has moved on, and the focus is now more on the interaction between scientists and society, in which scientists also need to listen to – and even learn from – society. “We need to react to the needs of society, but also use the knowledge accumulated by lay people,” explained Dr. Lovász. “A pre-condition for this interaction is mutual confidence. This needs to be strengthened not only in relation to science and society but also between science and policymaking. WSF falls between the United Nations Sustainable Development Summit 2015, at which the new Sustainable Development Goals were launched, and the COP21 summit in Paris, where world leaders will gather to discuss climate targets. Given the timing, climate, sustainability, resilience and disaster risk reduction are likely to be big talking points. 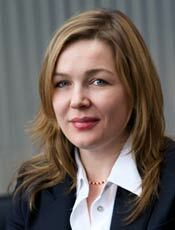 But Dr. Lovász is equally interested in hearing about new developments in global and European science advice mechanisms, the latest technological advancements and new results in brain research.